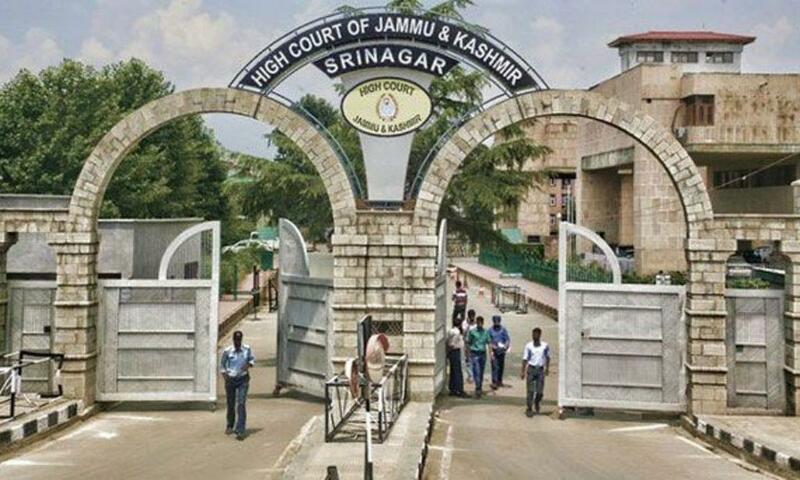 JAMMU: Taking strong note of non-submission of action taken report on its direction to the creation of de-addiction centres in State, the Jammu and Kashmir High Court on Monday asked the Home Department to comply with the directions, failing which “Director” of the department would be present in the Court on the next date of hearing. A Division Bench of the Court Comprising Chief Justice Gita Mittal and Justice Tashi Rabstan was hearing a Public Interest Litigation filed by one Atharv Mahajan and Court on its Own Motion, regarding low conviction rate and acquittal in many of NPDS case. The court observed that Status report dated 7 February, 2019 has been filed by Shakeel-ur-Rehman, Special Secretary to Govt, Home Department which relates with regard to the proposal for establishment of two Forensic Narcotic Divisions at FSL, Jammu and Srinagar. “Even this is at proposal stage only,” it said and directed to file status report with regard to these laboratories be placed before it on the next date. DB further observed its last order dated 26th December, 2018 has not been complied with at all. “There is no report with regard to the creation of de-addiction centres. Ensure that the order is complied with failing which Director of the Department of Home present in the Court on the next date of hearing,” the court said. DB further observed that in Para 10 of this report, the respondents have indicated with the geographical locations of de-addiction and rehabilitation Centres at nine places in the State. Let the respondents give us details of the intake capacity of these centres in the context of number of persons needing assistance and take a view on the sufficiency thereof. The Google map which has been enclosed wherein these centres have been plotted shows that there is not a single De-addiction and Rehabilitation Centre in Leh and Ladakh region of the State. The respondents may examine this issue urgently and inform this Court of the necessary steps, Division Bench said. DB further observed that a report regarding whether these centres are really functioning as De-addiction and Rehabilitation Centres shall be filed by the petitioner before us. DB further observed that it appears that construction of adequate storage facilities for drugs and psychotropic substances which are seized by the police is not available. DB directed the State Government to examine this issue and make available alternative land for construction of the storage facilities of the seized material before the next date of hearing.